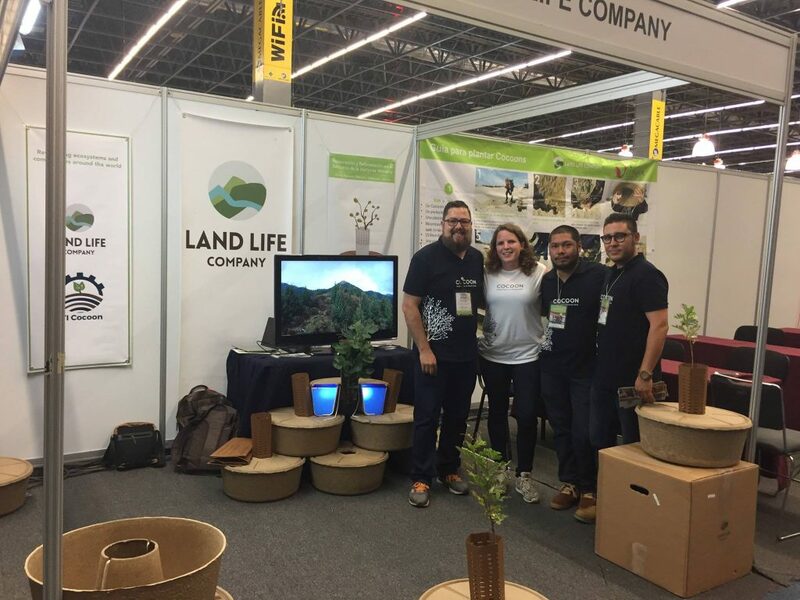 On the 12-14 of October, Land Life Company rented a stand at the Expo Forestal trade fair in Guadalajara, Mexico. Expo Forestal is held every two years and is specially designed for the forestry sector community. Visitors and participants take advantage of the opportunity to do business and speed up their companies’s growth through networking with forestry industry professionals who are looking for new solutions and technologies. The 2014 edition hosted 18,000 visitors from all over the world including 350 exhibitors with stands, and this year’s edition did not dissapoint. Land Life Company posted a large flyer with the FTI Cocoon project logo and gave explanations to interested stakeholders, visitors and clients as part of the plan to communicate and exploit the EU-funded project’s results. Mexico is one of their key markets and they currently are working on many different landscape restoration and biodiversity conservation projects there. See pictures of the event below. This entry was posted in News and tagged communication, dissemination, exploitation of results, expo forestal, forestry, Land Life Company, Mexico. Bookmark the permalink.